^ Alfred Nobel – The Man Behind the Nobel Prize. Nobel Foundation. [2014-02-03]. （原始内容存档于2014-01-25）. ^ The Nobel Prize Awarders. Nobel Foundation. [2013-09-28]. （原始内容存档于2013-09-28）. ^ The Nobel Prize. Nobel Foundation. [2014-02-03]. （原始内容存档于2014-01-25）. ^ The Nobel Prize Award Ceremonies. Nobel Foundation. [2010-01-31]. （原始内容存档于2010-01-31）. ^ 5.0 5.1 All Nobel Laureates in Literature. Nobel Foundation. [2014-02-03]. （原始内容存档于2013-12-04）. ^ Nobel Laureates Facts. Nobel Foundation. [2013-05-30]. （原始内容存档于2013-05-30）. ^ Women Nobel Laureates. Nobel Foundation. [2014-02-03]. （原始内容存档于2013-10-12）. ^ Nobel Prize in Literature 1901. Nobel Foundation. [2014-02-03]. （原始内容存档于2013-11-13）. ^ Nobel Prize in Literature 1902. Nobel Foundation. [2014-02-03]. （原始内容存档于2013-10-14）. ^ Nobel Prize in Literature 1903. Nobel Foundation. [2014-02-03]. （原始内容存档于2013-11-02）. ^ 12.0 12.1 Nobel Prize in Literature 1904. Nobel Foundation. [2014-02-03]. （原始内容存档于2013-05-13）. ^ Nobel Prize in Literature 1905. Nobel Foundation. [2014-02-03]. （原始内容存档于2013-05-30）. ^ Nobel Prize in Literature 1906. Nobel Foundation. [2014-02-03]. （原始内容存档于2013-06-02）. ^ Nobel Prize in Literature 1907. Nobel Foundation. [2014-02-03]. （原始内容存档于2013-10-14）. ^ Nobel Prize in Literature 1908. Nobel Foundation. [2014-02-03]. （原始内容存档于2013-05-11）. ^ Nobel Prize in Literature 1909. Nobel Foundation. [2014-02-03]. （原始内容存档于2013-11-09）. ^ Nobel Prize in Literature 1910. Nobel Foundation. [2014-02-03]. （原始内容存档于2013-10-05）. ^ Nobel Prize in Literature 1911. Nobel Foundation. [2014-02-03]. （原始内容存档于2013-11-13）. ^ Nobel Prize in Literature 1912. Nobel Foundation. [2014-02-03]. （原始内容存档于2013-06-01）. ^ Nobel Prize in Literature 1913. Nobel Foundation. [2014-02-03]. （原始内容存档于2014-01-04）. ^ Nobel Prize in Literature 1915. Nobel Foundation. [2014-02-03]. （原始内容存档于2013-06-17）. ^ Nobel Prize in Literature 1916. Nobel Foundation. [2014-02-03]. （原始内容存档于2013-05-11）. ^ 24.0 24.1 Nobel Prize in Literature 1917. Nobel Foundation. [2014-02-03]. （原始内容存档于2013-12-24）. ^ Nobel Prize in Literature 1919. Nobel Foundation. [2014-02-03]. （原始内容存档于2013-05-11）. ^ Nobel Prize in Literature 1920. Nobel Foundation. [2014-02-03]. （原始内容存档于2013-05-11）. ^ Nobel Prize in Literature 1921. Nobel Foundation. [2014-02-03]. （原始内容存档于2013-06-01）. ^ Nobel Prize in Literature 1922. Nobel Foundation. [2014-02-03]. （原始内容存档于2013-06-02）. ^ Nobel Prize in Literature 1923. Nobel Foundation. [2014-02-03]. （原始内容存档于2014-01-01）. ^ Nobel Prize in Literature 1924. Nobel Foundation. [2014-02-03]. （原始内容存档于2013-06-27）. ^ Nobel Prize in Literature 1925. Nobel Foundation. [2014-02-03]. （原始内容存档于2013-05-26）. ^ Nobel Prize in Literature 1926. Nobel Foundation. [2014-02-03]. （原始内容存档于2013-11-13）. ^ Nobel Prize in Literature 1927. Nobel Foundation. [2014-02-03]. （原始内容存档于2013-06-03）. ^ Nobel Prize in Literature 1928. Nobel Foundation. [2014-02-03]. （原始内容存档于2013-08-28）. ^ Nobel Prize in Literature 1929. Nobel Foundation. [2014-02-03]. （原始内容存档于2013-06-03）. ^ Nobel Prize in Literature 1930. Nobel Foundation. [2014-02-03]. （原始内容存档于2013-05-11）. ^ Nobel Prize in Literature 1931. Nobel Foundation. [2014-02-03]. （原始内容存档于2013-10-14）. ^ Nobel Prize in Literature 1932. Nobel Foundation. [2014-02-03]. （原始内容存档于2013-05-11）. ^ Nobel Prize in Literature 1933. Nobel Foundation. [2014-02-03]. （原始内容存档于2013-06-02）. ^ Nobel Prize in Literature 1934. Nobel Foundation. [2014-02-03]. （原始内容存档于2013-05-11）. ^ Nobel Prize in Literature 1936. Nobel Foundation. [2014-02-03]. （原始内容存档于2013-06-03）. ^ Nobel Prize in Literature 1937. Nobel Foundation. [2014-02-03]. （原始内容存档于2013-05-11）. ^ Nobel Prize in Literature 1938. Nobel Foundation. [2014-02-03]. （原始内容存档于2013-05-11）. ^ Nobel Prize in Literature 1939. Nobel Foundation. [2014-02-03]. （原始内容存档于2014-02-02）. ^ Nobel Prize in Literature 1944. Nobel Foundation. [2014-02-03]. （原始内容存档于2013-09-27）. ^ Nobel Prize in Literature 1945. Nobel Foundation. [2014-02-03]. （原始内容存档于2013-05-26）. ^ Nobel Prize in Literature 1946. Nobel Foundation. [2014-02-03]. （原始内容存档于2013-05-26）. ^ Nobel Prize in Literature 1947. Nobel Foundation. [2014-02-03]. （原始内容存档于2013-05-25）. ^ Nobel Prize in Literature 1948. Nobel Foundation. [2014-02-03]. （原始内容存档于2013-12-15）. ^ Nobel Prize in Literature 1949. Nobel Foundation. [2014-02-03]. （原始内容存档于2013-12-20）. ^ Nobel Prize in Literature 1950. Nobel Foundation. [2014-02-03]. （原始内容存档于2013-05-11）. ^ Nobel Prize in Literature 1951. Nobel Foundation. [2014-02-03]. （原始内容存档于2013-05-11）. ^ Nobel Prize in Literature 1952. Nobel Foundation. [2014-02-03]. （原始内容存档于2013-10-17）. ^ Nobel Prize in Literature 1953. Nobel Foundation. [2014-02-03]. （原始内容存档于2013-10-20）. ^ Nobel Prize in Literature 1954. Nobel Foundation. [2014-02-03]. （原始内容存档于2013-12-19）. ^ Nobel Prize in Literature 1955. Nobel Foundation. [2014-02-03]. （原始内容存档于2013-06-01）. ^ Nobel Prize in Literature 1956. Nobel Foundation. [2014-02-03]. （原始内容存档于2013-06-02）. ^ Nobel Prize in Literature 1957. Nobel Foundation. [2014-02-03]. （原始内容存档于2013-12-05）. ^ Nobel Prize in Literature 1958. Nobel Foundation. [2014-02-03]. （原始内容存档于2013-10-14）. ^ Nobel Prize in Literature 1959. Nobel Foundation. [2014-02-03]. （原始内容存档于2014-01-03）. ^ Nobel Prize in Literature 1960. Nobel Foundation. [2014-02-03]. （原始内容存档于2013-06-03）. ^ Nobel Prize in Literature 1961. Nobel Foundation. [2014-02-03]. （原始内容存档于2013-10-14）. ^ Nobel Prize in Literature 1961. Nobel Foundation. [2014-02-03]. （原始内容存档于2013-06-03）. ^ Nobel Prize in Literature 1962. Nobel Foundation. [2014-02-03]. （原始内容存档于2013-06-02）. ^ Nobel Prize in Literature 1963. Nobel Foundation. [2014-02-03]. （原始内容存档于2013-02-02）. ^ Nobel Prize in Literature 1964. Nobel Foundation. [2014-02-03]. （原始内容存档于2013-10-14）. ^ Nobel Prize in Literature 1965. Nobel Foundation. [2014-02-03]. （原始内容存档于2013-05-11）. ^ 68.0 68.1 Nobel Prize in Literature 1966. Nobel Foundation. [2014-02-03]. （原始内容存档于2014-02-01）. ^ Nobel Prize in Literature 1967. Nobel Foundation. [2014-02-03]. （原始内容存档于2012-11-04）. ^ Nobel Prize in Literature 1968. Nobel Foundation. [2014-02-03]. （原始内容存档于2013-11-13）. ^ Nobel Prize in Literature 1969. Nobel Foundation. [2014-02-03]. （原始内容存档于2013-10-29）. ^ Nobel Prize in Literature 1970. Nobel Foundation. [2014-02-03]. （原始内容存档于2013-10-12）. ^ Nobel Prize in Literature 1971. Nobel Foundation. [2014-02-03]. （原始内容存档于2013-12-05）. ^ Nobel Prize in Literature 1972. Nobel Foundation. [2014-02-03]. （原始内容存档于2013-09-27）. ^ Nobel Prize in Literature 1973. Nobel Foundation. [2014-02-03]. （原始内容存档于2014-02-01）. ^ 76.0 76.1 Nobel Prize in Literature 1974. Nobel Foundation. [2014-02-03]. （原始内容存档于2013-11-13）. ^ Nobel Prize in Literature 1975. Nobel Foundation. [2014-02-03]. （原始内容存档于2013-06-02）. ^ Nobel Prize in Literature 1976. Nobel Foundation. [2014-02-03]. （原始内容存档于2013-06-01）. ^ Nobel Prize in Literature 1977. Nobel Foundation. [2014-02-03]. （原始内容存档于2013-06-01）. ^ Nobel Prize in Literature 1978. Nobel Foundation. [2014-02-03]. （原始内容存档于2013-05-26）. ^ Nobel Prize in Literature 1979. Nobel Foundation. [2014-02-03]. （原始内容存档于2013-05-26）. ^ Nobel Prize in Literature 1980. Nobel Foundation. [2014-02-03]. （原始内容存档于2013-10-12）. ^ Nobel Prize in Literature 1981. Nobel Foundation. [2014-02-03]. （原始内容存档于2013-06-01）. ^ Nobel Prize in Literature 1982. Nobel Foundation. [2014-02-03]. （原始内容存档于2013-12-09）. ^ Nobel Prize in Literature 1983. Nobel Foundation. [2014-02-03]. （原始内容存档于2013-06-02）. ^ Nobel Prize in Literature 1984. Nobel Foundation. [2014-02-03]. （原始内容存档于2013-12-15）. ^ Nobel Prize in Literature 1985. Nobel Foundation. [2014-02-03]. （原始内容存档于2014-01-08）. ^ Nobel Prize in Literature 1986. Nobel Foundation. [2014-02-03]. （原始内容存档于2013-12-12）. ^ Nobel Prize in Literature 1987. Nobel Foundation. [2014-02-03]. （原始内容存档于2013-10-30）. ^ Nobel Prize in Literature 1988. Nobel Foundation. [2014-02-03]. （原始内容存档于2013-10-01）. ^ Nobel Prize in Literature 1989. Nobel Foundation. [2014-02-03]. （原始内容存档于2013-05-26）. ^ Nobel Prize in Literature 1990. Nobel Foundation. [2014-02-03]. （原始内容存档于2013-06-25）. ^ Nobel Prize in Literature 1991. Nobel Foundation. [2014-02-03]. （原始内容存档于2013-06-01）. ^ Nobel Prize in Literature 1992. Nobel Foundation. [2014-02-03]. （原始内容存档于2013-06-02）. ^ Nobel Prize in Literature 1993. Nobel Foundation. [2014-02-03]. （原始内容存档于2013-08-27）. ^ Nobel Prize in Literature 1994. Nobel Foundation. [2014-02-03]. （原始内容存档于2013-06-02）. ^ Nobel Prize in Literature 1995. Nobel Foundation. [2014-02-03]. （原始内容存档于2013-10-23）. ^ Nobel Prize in Literature 1996. Nobel Foundation. [2014-02-03]. （原始内容存档于2013-08-28）. ^ Nobel Prize in Literature 1997. Nobel Foundation. [2014-02-03]. （原始内容存档于2013-05-26）. ^ Nobel Prize in Literature 1998. Nobel Foundation. [2014-02-03]. （原始内容存档于2013-06-02）. ^ Nobel Prize in Literature 1999. Nobel Foundation. [2014-02-03]. （原始内容存档于2013-06-02）. ^ Nobel Prize in Literature 2000. Nobel Foundation. [2014-02-03]. （原始内容存档于2013-11-03）. ^ Nobel Prize in Literature 2001. Nobel Foundation. [2014-02-03]. （原始内容存档于2013-06-01）. ^ Nobel Prize in Literature 2002. Nobel Foundation. [2014-02-03]. （原始内容存档于2013-05-30）. ^ Nobel Prize in Literature 2003. Nobel Foundation. [2014-02-03]. （原始内容存档于2013-06-02）. ^ Nobel Prize in Literature 2004. Nobel Foundation. [2014-02-03]. （原始内容存档于2013-12-19）. ^ Nobel Prize in Literature 2005. Nobel Foundation. [2014-02-03]. （原始内容存档于2013-12-03）. ^ Nobel Prize in Literature 2006. Nobel Foundation. [2014-02-03]. （原始内容存档于2013-12-15）. ^ Nobel Prize in Literature 2007. Nobel Foundation. [2008-10-17]. （原始内容存档于2013-12-08）. ^ Nobel Prize in Literature 2008. Nobel Foundation. [2014-02-03]. （原始内容存档于2013-06-02）. 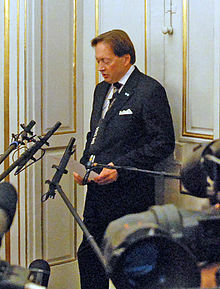 ^ Nobel Prize in Literature 2009. Nobel Foundation. [2014-02-03]. （原始内容存档于2013-09-28）. ^ Nobel Prize in Literature 2010. Nobel Foundation. [2014-02-03]. （原始内容存档于2013-08-28）. ^ Nobel Prize in Literature 2011. Nobel Foundation. [2014-02-03]. （原始内容存档于2013-10-14）. ^ Nobel Prize in Literature 2012. Nobel Foundation. [2014-02-23]. （原始内容存档于2014-01-09）. ^ Nobel Prize in Literature 2013. Nobel Foundation. [2014-02-03]. （原始内容存档于2014-01-18）. ^ Nobel Prize in Literature 2014. Nobel Foundation. [2014-10-09]. ^ Nobel Prize in Literature 2015. Nobel Foundation. [2015-10-08]. ^ Nobel Prize in Literature 2016. Nobel Foundation. [2016-10-13]. ^ Nobel Prize in Literature 2017. Nobel Foundation. [2017-10-05]. ^ Nobel Prize for Literature postponed amid Swedish Academy turmoil. BBC (BBC). 2018-05-04 [2018-05-04]. All Nobel Laureates in Literature. Nobel Foundation. [2014-02-03]. （原始内容存档于2013-12-04）.